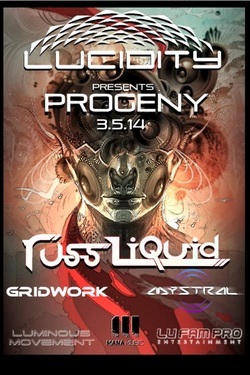 **3/5/14** Lucidity Festivals & Lu Fam Pro present a special edition of the Luminous Movement with Russ Liquid, GRiDWORK and Mystral. 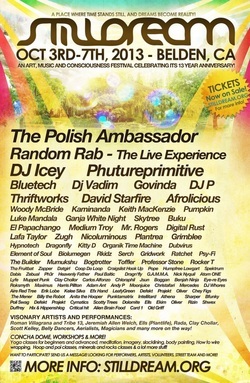 The Official Lucidity Festival LA Pre-Party! **3/6/14** Join us as we celebrate Bass Tribe friend GRiDWORK's new EP "A Time For Us" out March 4th on Street Ritual! Joining in support will be residents Insp3ctor Gadg3t and Nick@Nite! 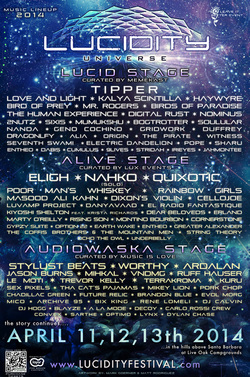 GRiDWORK is pleased to announce he will be playing at Lucidity Festival 2014 sharing the stage with Tipper, Love and Light, Kalya Scintilla, Haywyre, and many more. 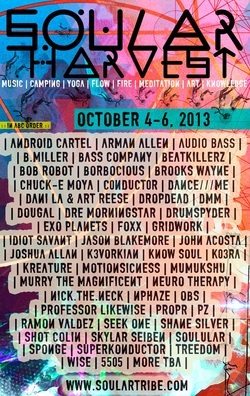 **10/5/13** Stilldream an Art, Music, and consciousness festival celebrating its 13 year anniversary. 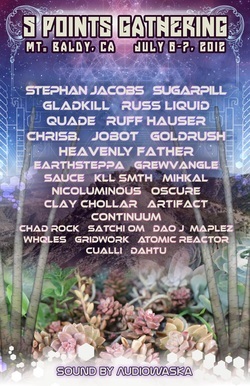 Stilldream - a four day camping festival in Belden, CA. GRiDWORK will be sharing the stage with The Polish Ambassador, Random Rab, DJ Icey, Phtureprimitive, Bluetech, Thrifworks, and many more. We will be gathering on a beautiful ranch in the high desert of Southern California to celebrate a Soular harvest and prepare for the year to come. We will be offering nurturing for the soul, mind and body along with music and art. All proceeds go towards solar generator systems for our community and to make a difference in the electronic awakening we are experiencing. 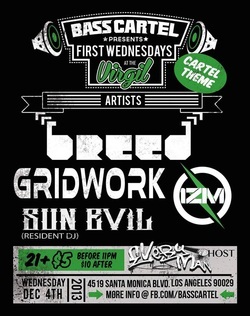 ** 09/17/13 ** Bass Tribe LA and Blank Tuesday Present Traveler, GRiDWORK, BRC, and SxSTAMPEDE @ the Airliner. 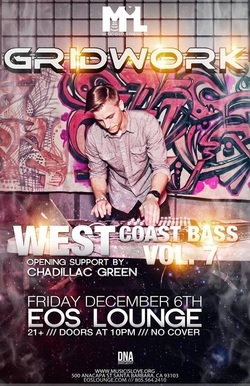 Come join Bass Tribe Los Angeles for your kickoff event. We're looking forward to creating a spot for local bass producers to showcase their latest work, for the scene to grow and thrive, and for everyone to come and do their thing week in and week out. 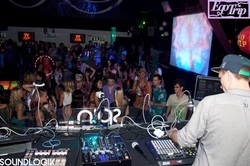 We'll be including Craft Tribe in the mix to really pack in as much creativity of all types under one roof. Come join the tribe! 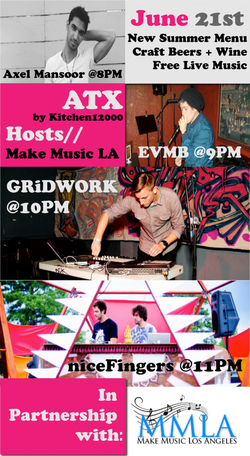 **6/21/13** Make Music Los Angeles @ ATX. Make Music Los Angeles engages all communities of Los Angeles in an annual cross-cultural celebration of the power of music and art to enrich lives through education and musical performances in neighborhoods across the county. The ATX family is happy to participate and introduce you four eclectic artists who are making a name for themselves in the music community. 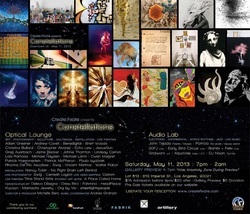 **5/11/13** Create:Fixate presents 'Constellations' @ Lot 613. Dive Into Current Creative Culture with Create:Fixate! 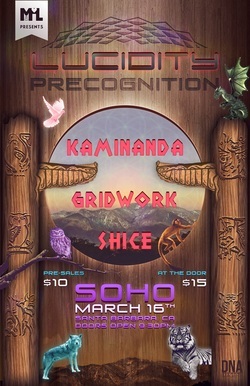 **3/16/13** Music is Love Presents: "Lucidity - Precognition" with Kaminanda, GRiDWORK, and Shice at Soho in Santa Barbara, CA. Join us for a spark of pre-rememberance, a premonition, a Precognition of Lucidity. 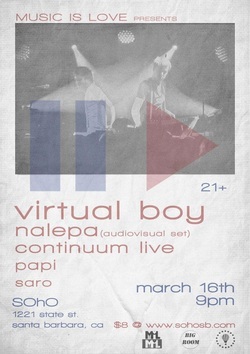 We'll be convening at Soho again to showcase a bite-sized piece, an appetizer if you will, of Lucidity. With less than a month until the big hurrah, here's a great opportunity to come Play with Us, Grow with Us, and Dream with Us! Live Art, Vendors, I AM HEALING, Acrobatic Glow Hoop Performance by the The Electric Fairy Hoopers, Visual projections provided by Mahadeva Vodopija, and more! 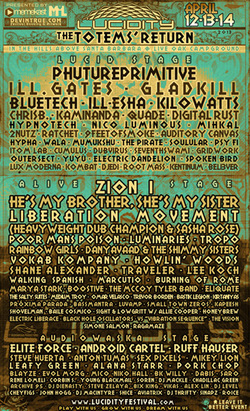 GRiDWORK is pleased to announce he will be playing at the Lucidity Festival 2013, sharing the stage with acts such as Phutureprimitive, Ill.Gates, Ill-Esha, Bluetech, and many more. This years festivities will take place in Santa Barbara, CA at the Live Oak Campground. 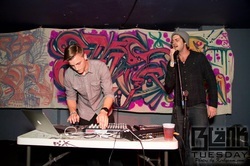 **1/12/13** Take Back The Night Presents - Push The Button. TBTN is back on Saturday, January 12 with a brand new DTLA venue, 2 rooms of sound, and another LA all star lineup! This is a private event and you must RSVP to receive the location. 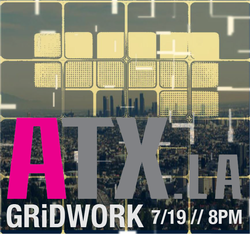 **11/13/12** GRiDWORK LIve at the Airliner in Los Angeles, CA. 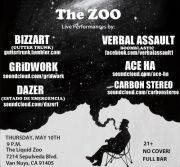 He will be doing an audio/visual set. 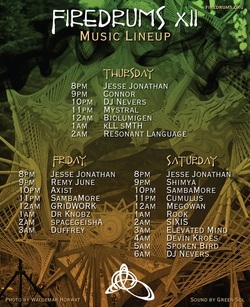 **10/26 - 10/28/12** Continuum and GRiDWORK Live at Lunacy Music Festival in Santa Barbara, CA. **10/12/12** Continuum Live will be playing in between sets at the Big Bass Variety Show on October 12, 2012 in Hollywood, CA. 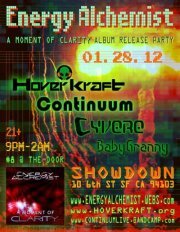 Continuum is Big Bass veteran and Headtron superstar joBOT (Joe Wendt), GRiDWORK (Ryan Aicklen) and Ryan Knights. 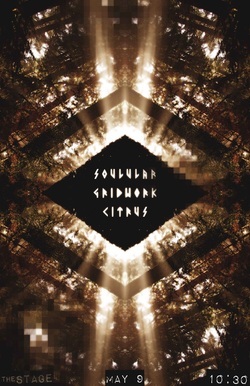 joBOT of Headtron fame uses his sleek futuristic production, meshing perfectly with GriDWORK’s equally impressive hooks ‘n’levels. 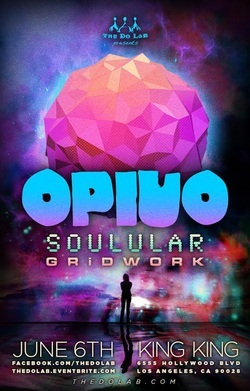 GriDWORK is launching his explosive dynamic Mid Tempo Bass all over the map with major releases on both Far Arden and Epiphyte Records. One of their biggest Sets yet, Contiuum just opened up for Octopus Nebula at Central S.A.P.C. in Santa Monica on September 17th. This classy trio of classically trained Bass Experts are sure to turn heads with for the 20th Big Bass Allstar Variety Show.